I've been quite the busy girl lately but will not go anywhere with naked nails. So it was quite a welcomed opportunity to try out these 3D nail stickers from KKCenterHK. 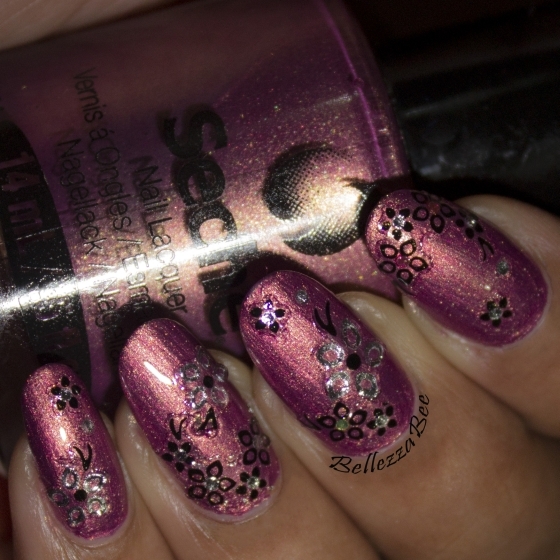 These cute flower stickers are easy to apply and in a few seconds flat dresses up a plain old polish. 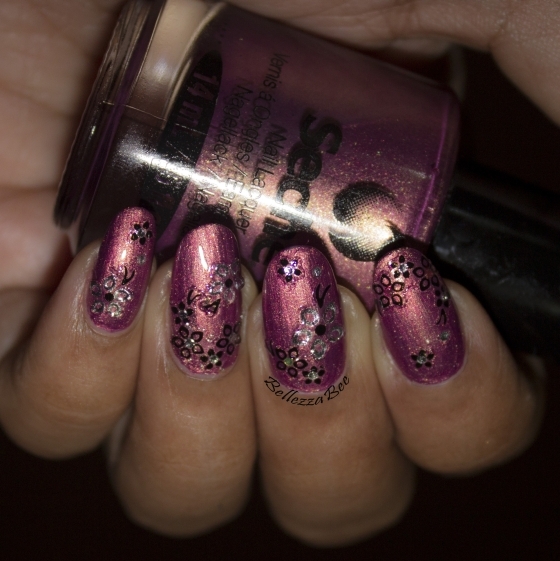 Nail Polish used: Seche Enamored with Seche Vite top coat. 1. Easy to apply. Goes onto the nail like a sticker but it is not too sticky that it cannot be repositioned for the perfect placement. 2. It does give a 3D effect with one layer of top coat. It is still a raised surface. Try two coats if you want it to simply blend into the nail bed. 3. The nail card has both big and small single flower which comes in 4 colors: silver (the main color), blue, pink and yellow. The card also have black flower ringlets that are perfect for accenting your design. There are even tiny (about 1-2mm wide) silver rhinestone stickers for that hint of glam. 4. Stickers are for one time use only since on removal with the top coat they usual tear off. However there is enough stickers to get two uses on all ten fingers.